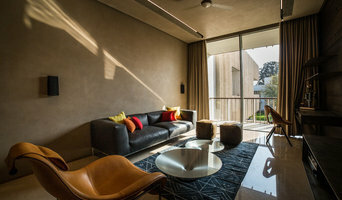 Papersky Studio is an Interior design & styling company founded by Suvidha A Gandhi in 2007, offering interior designing and styling services. Over the past many years Suvidha has lived & worked in Mumbai and Moscow, gaining exposure to an unparalleled heritage, a new culture, and contemporary tastes. Her expertise and eclectic approach to space transformation, color therapy, furniture selection, furnishing styling and accessorization have wowed people across international borders. She has successfully completed projects for homes, Sets events ,retail & hospitality garnering a loyal audience. Suvidha's passion for design & style is limitless, her creativity blossoms with challenging assignments and her organization of work & planning of time make her a true professional to partner with. We at "Ambiance" undertake interiors & turnkey projects. We also provide services like Design consultation, Painting consultation, Floor plans for residential & commercial projects, Interior photography. Alur Home is integrated one stop design studio offering wide range of contemporary furniture and customizable furnishing products. Alur Home specializes in providing furnishing to suit the specific dimensional and styling needs for homes and offices. Flexibility, Practicality, Transparency and Customer delight are the values that form the four corner stones the conception of Alur Home. The search for your best home ends here. If you are looking for a space that inspires you day in and day out, Alur home is your right choice. From Studio Apartments to Villas and Bungalows, we at Alur Home understand that home is not about space and aesthetics, but it’s also about family. Alur home is committed to be the one stop shop for interior designing which covers a lot of sub-aspects. We help deliver work that involves the handiwork of top-notch designs, providing you infinite choices of material and colors, allowing you to explore and collaborate through discussions with our designers. Alur homes makes living truly blissful. 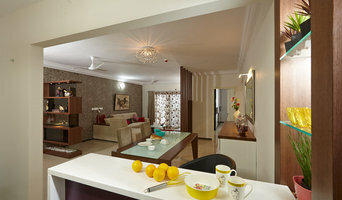 It is creating a benchmark in all aspects of interior designing and bringing to your home a touch of exclusivity. When everyone else is seeking for something new and comforting outside their windows, Alur Home would make you long to be home for a soothing and inspiring stay. We provide shooting architecture in different styles such as minimalistic, ornate, modern, vernacular, colonial, Rustic, Commercial, Industrial, needs to be highlighted in the holistic way we shoot. Having a team of photographers who have architectural background, it becomes easy to understand architect’s language. We have had opportunity to shoot extensively foe esteemed clientele such as Bakeri, Amaya properties (Shaan Zaveri), Gala builders, Safal group, Savvy infrastructures, , Olive group, Suryam group, Khosla Associates, Spasm (Sanjeev Punjabi), WATG, Modo Designs (Arpan Shah), PVDRS (Keyur vadodaria), KNS architects, Shilanyas designs (PVK Rameshwar) VPA architects, Alliance francaise, Couple of resorts, industrial projects etc. We are a design studio dedicated to making soulful interiors and memorable spaces. We specialise in furniture making and very sophisticated wood work. We are very sensitive to our work and bring in the unique to all the projects we do. Homes are places of recluse and that is what we strive to bring into our projects. Studio Wodehouse was founded by Shonali Mahajan in 2014. A firm of interior designers collaborating with designers & artists across disciplines, to create truly bespoke spaces & Interior products. After graduating from the Domus Academy in Milan in 2009, Shonali has worked with several award winning Architectural, Interior & Product design firms both in India & Milan such as Matteo Nunziati, Pinakin, Neterwala & Aibara & Fusion Access. Studio Wodehouse aims to be a one stop shop for the interior space. 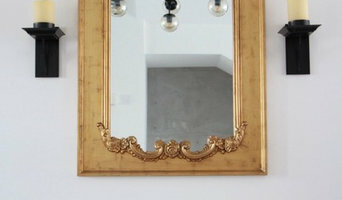 From wall treatments, to lighting & textiles, we hope to provide you with a truly bespoke space. 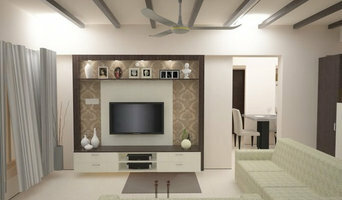 My Vision Interiors is a professionally managed company which is in the field of Interior Designs. We are one of the leading interior designing & Execution firm in Hyderabad and Secunderabad. 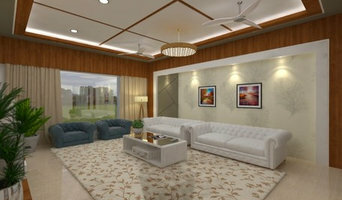 We have a team of experienced interior designers, Workers who are well conversant in carrying out all types of interiors like dining room designs, kitchen, bathroom, bedroom, Kids room, dressing room, pooja room, false ceiling and flooring, living rooms, plumber, TV units, terrace and so on… and service related works. croquis interior provides you 3d interior design as well as execution of the same, so you can have the idea of how your space will look like before executing it. contact croquis interior for consult , style, decor, design ,and 3d visualization. Our office at Surat is a 10,000 square feet of young and creative campus offering solutions in fields encompassing all the walks of life where there is slightest scope for the word DESIGN. Under one roof we provide unique design solutions for projects ranging from a township to a visiting card. We have two sister concerns by the names of Urban Initiatives and OBL/QUE through which we carry out urban planning and urban design projects, and customized products and art installations respectively. In the brief period of 16 years of existence, we have accomplished over 550 projects of varying scale and nature in the field of Master Planning, Residential Developments, Industrial Projects, Institutional Buildings, Recreational Projects, Commercial Developments and a whole lot of Interior Projects. Founded in 2011 by Nupur Shah and Saahil Parikh, ‘WE’ is a multi-disciplinary award-winning design studio that works in the realms of architecture, interior and product design. ‘WE’ adopts a philosophical method of enquiry into design and investigates the relationship between built form and space through a lateral and rigorous thought process. Working within the constraints of indigenous construction technology, the studio explores the underlying value of spatial principles in each of its projects; space is the protagonist. With an abiding interest in austerity and simplicity, the studio focusses its research on the fundamental problems of space, proportion, light and materials. The studio believes that there lies an inherent sensuality in designing and building with restraint, order and control. This is what WE strives to achieve; an architecture defined by the rightness of what is and the richness with which this is experienced.